Cheers to Thanksgiving! 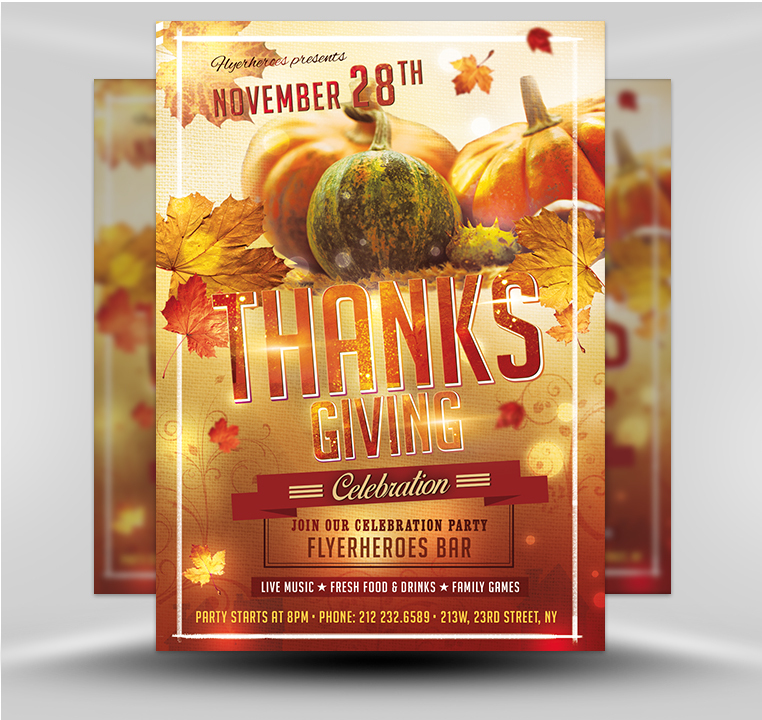 Easily create an awesome custom flyer for “Turkey Day” by utilizing our easily editable Thanksgiving Day flyer to promote your bar, pub, or dining establishment. 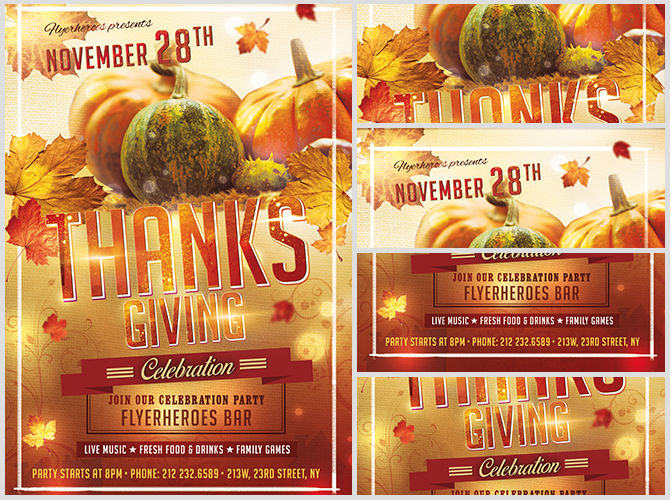 There are dozens of ways to use it to place your Thanksgiving Day celebration high on your community’s radar. Blow up the flyer and post it in highly visible public spaces. Hand out flyers and turkey-shaped sugar cookies to shoppers in commercial areas with high foot traffic. 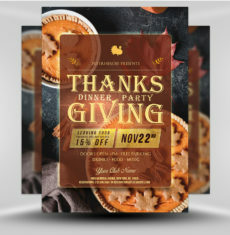 Staple mini Thanksgiving Day cocktail menus to flyers and mail them (along with free drink coupons) to past and present customers. 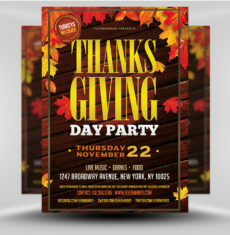 Use the Thanksgiving Day flyer to create an eye-catching postcard to send out to mailing list subscribers. Use the flyer’s image to create boosted social media posts for Twitter and Facebook. 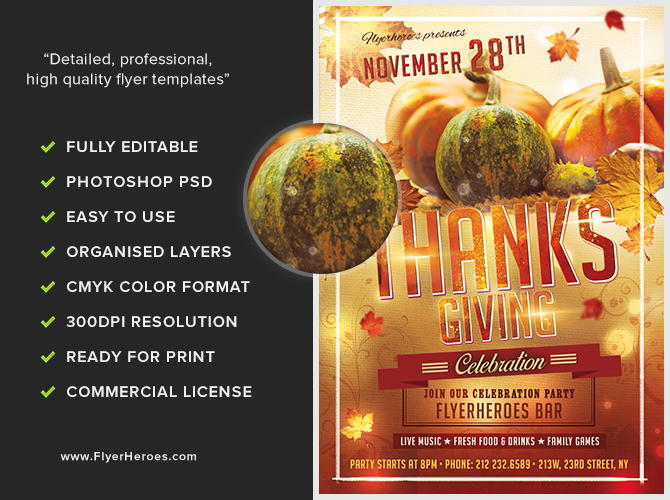 Insert the flyer’s image into paid, local Facebook advertising. 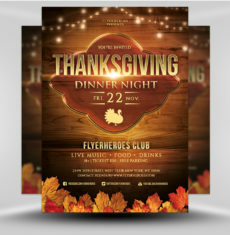 Post the flyer’s image on your venue’s website. Pin the flyer to bulletin boards in community centers and commercial venues around town. Distribute flyers face to face in front of diners, popular restaurants, and supermarkets. Leave stacks of flyers in your local library. Hand out the flyers in front of business buildings during lunch hours. Leave the flyer on the windshield of cars parked in your venue’s parking lot and local streets. 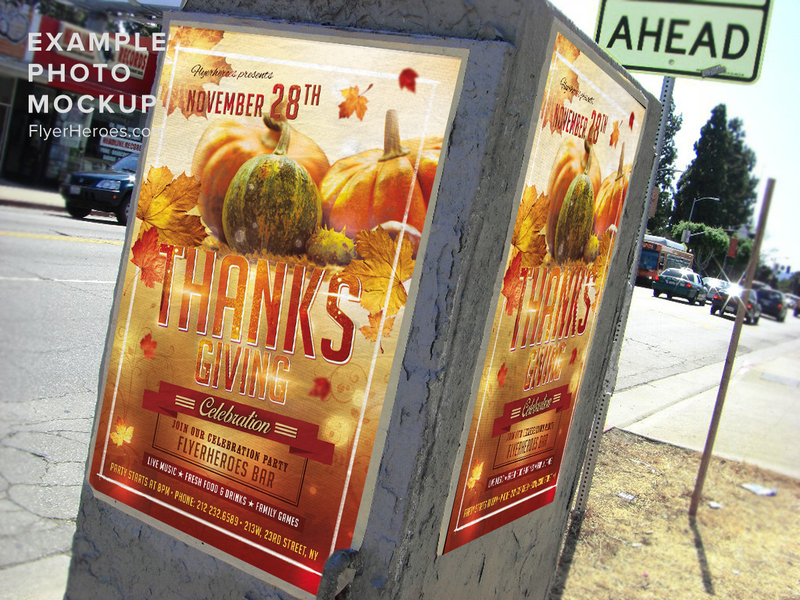 A week or two before Thanksgiving, post the flyer on your venue’s exit doors and leave stacks of flyers on a small table situated near restroom entrances. Use the flyer to create an ad to place in a local newspaper. Create an ad for your local neighborhood circular by using the flyer’s digital image.